Join the vibrant network of Technology Enhanced Learning experts, junior researchers and PhD students across Europe and the World in a fantastic town of Aveiro on the Atlantic coast of Portugal! The event is scheduled for October 9-13, 2017. Join the 13th Joint European Summer School On Technology Enhanced Learning. The vibrant network of Technology Enhanced Learning experts, junior researchers and PhD students across Europe and the World will meet in a fantastic town of Aveiro on the Atlantic coast of Portugal! 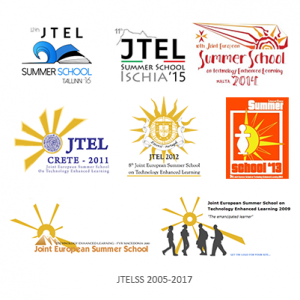 Since 2005, the JTEL summer school has been organised by the European Association of Technology Enhanced Learning - EATEL. The 2017 event (lectures and workshops) will be hosted by Department of Communication and Art of the University of Aveiro . The JTEL summer school provides a stimulating learning environment where participants get opportunities to: develop research skills, increase their knowledge base, collaborate with others in their own and complementary research areas, engage in debate, have access to experts in the field, and discuss their own work. The programme covers topics from a broad range of domains which contribute to advancing the field of Technology Enhanced Learning (TEL). TEL research projects are encouraged to provide doctoral candidates with a perspective of the state-of-the-art research under study in their working groups. The programme will also include practical and methodological workshops as well as opportunities for PhD students to develop their personal research, discuss their doctoral work and build bridges for future collaborations experts in the field and peers across Europe. The summer school is open for PhD students and instructors from all countries. If you would like to offer a lecture or workshop at the summer school, we invite you to submit a proposal (1 page) describing your contribution, which should demonstrate how your presentation/activity will benefit the PhD students attending the summer school (mainly early to mid-stage). If your proposal is selected, it will be published on the summer school website. Please submit your proposals to EasyChair no later than June 19, 2017. Choose: “Lecture and/or workshop proposal”. Please note that speakers and workshop organizers are expected to cover the costs of their trip and accommodation (can be covered through the TEL projects). PhD students applying to participate in the summer school are also invited to propose workshops. In this case, they must make TWO submissions: the PhD student proposal and the lecture and/or workshop proposal. PhD students should submit their proposals online no later than July 18, 2017. Please download the PhD student proposal form, fill it in, and upload it to the summer school submission system at EasyChair. In the submission system, please, select the submission type: “PhD student proposal”.